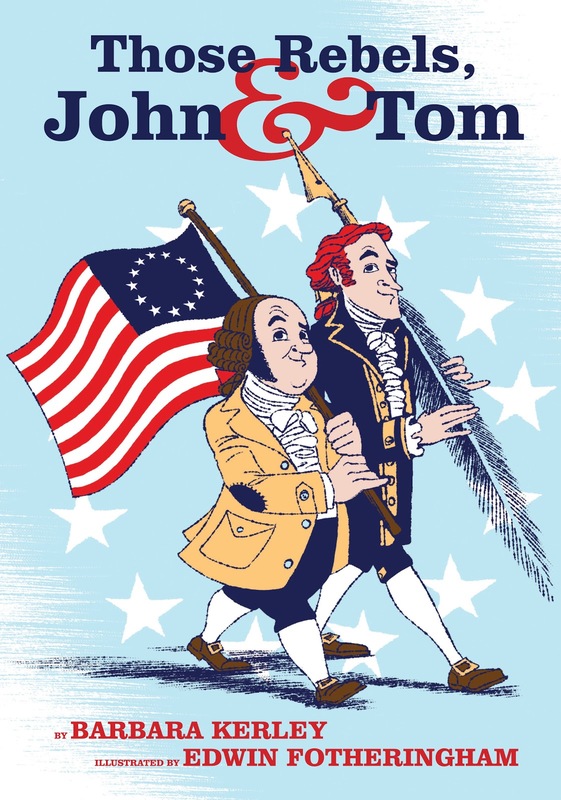 Last month, I blogged a bit about the School Library Journal Leadership Summit and my preparation to discuss Those Rebels, John and Tom in light of the Common Core State Standards (CCSS). I thought I'd report back on our panel, "Nonfiction at the Fore of the Common Core." We four authors—Steve Sheinkin, Sally M. Walker, Deborah Hopkinson, and me—were in excellent company. The room was filled with librarians passionate about their work. There was a buzz in the room as the discussion ranged from how to engage tech-savvy readers to how to best set up the physical space in a library. Also, there was cake. Our task on the panel was to share how our books (all nonfiction, all set in the past) were relevant to events today and then to use specific Common Core Standards as a way of exploring our books. Led by Mary Ann Cappiello (one of the intrepid members of The Uncommon Corps I blogged about last month), we dove in. The discussion was divided into four sections. Sally then turned to a discussion of a specific CC Standard on the balance of primary and secondary sources during the research process. She shared photographs of the prehistoric bones at the center of her book Their Skeletons Speak: Kennewick Man And The Paleoamerican World, focusing on the stone spear point embedded in Kennewick Man’s hip bone and discussing how scientists used computer modeling to analyze whether Kennewick Man—literally—saw the spear coming. I talked about another CC Standard on exploring how an author’s purpose shapes the content and style of a book. I shared how the text reflects my purpose in Those Rebels, John and Tom of introducing the two men through the lens of their differences and then showing how they looked past those differences to find common ground and work together. I followed up by pointing out the many ways in which Edwin Fotheringham’s art supports this purpose, from his use of opposites (opposing pages of dark vs. light; action vs. passivity; loud vs. quiet) to aspects of the book design, such as the fact that the two men’s profiles face away from each other on the book’s flaps and face toward each other on the title page. Finally, Deborah Hopkinson discussed another CC Standard on analyzing how word choice shapes meaning and tone. Reading a passage from Annie and Helen, about Annie Sullivan and Helen Keller, she discussed her love of language and how much the act of reading shapes writing. The panel was great. I loved listening to and learning from the other authors. I also left inspired to learn more about the Common Core Standards and how I can use them to explore my books with teachers, librarians, and kids. And if you'd like to read more about the panel, see this write-up in School Library Journal. The panel discussion sounds fascinating. One thing I've noticed is that my grad students--all teachers--find it very interesting to hear authors' perspectives on their books. They have watched many authors discuss their books on online videos. It really makes a difference to their understanding of the book. So keep these informational sessions and coming. Also, Common Core has made "word choice" an important topic. I am thrilled by this because I think it's so important that readers are aware of the choices authors make when writing. It was a great event, as Barb says, and the best part was the genuine enthusiasm among educators for the kinds of books we're all trying to write! I, too, love the focus on word choice, and exploring it from a writerly and readerly perspective, Myra. On Friday, when talking about SKULL IN THE ROCK in upstate NY to middle school content teachers & librarians, I noted that throughout the book, Lee the scientist, is referred to as "he." But as soon as the research team starts to study the skeletons found at Malapa, on the first page of chapter 7, the dominant pronoun changes to "we." It is no longer a book about Lee and his work, it's a book about research that every reader is a participant in. A small thing, a pronoun shift, a single letter on the page from "he" to "w." But so powerful as a literary device for the full impact of the book. Yep, loved the enthusiasm in the room. And I'm with you guys -- word choice is key!